One of the biggest challenges facing photographers is backing up their images. For many photographers, it isn’t that challenging because you can go home after a shoot and backup your photos immediately. For travel photographers, you don’t have the luxury of going home at the end of the day to make sure everything is backed up properly. It might days, weeks, or even months before you are back home. Moreover, while you are on the road you are often dealing with slow wifi speeds and can only carry around so much gear. This article will go over my current photo backup routine. This has changed considerably over the 11 years I have been traveling around the world. Back in 2008, I remember holing up in a guest house in Melbourne, Australia to back up my photos to stacks of CD’s and an old iPod I was carrying with me (the old white ones with a hard drive and the wheel in the front). Since then, things have changed considerably. Over the 11 years I’ve been traveling, to the best of my knowledge, I have never lost a photo (knock on wood). It is a streak I hope to continue for the foreseeable future. Here is how I currently do it as of 2018. The workflow for backing up your photos begins inside your camera. In particular, it begins with your memory cards. This is the one part of this article which might draw some disagreement amongst photographers, but I stand by my method and it has worked for me so far. The key is to use high capacity memory cards. In particular, I now use 256gb SD cards in my camera. The reason why this might elicit disagreement is that for years many photographers have advocated for using smaller memory cards to protect against card failure. If your card fails, do you want to lose 32gb of photos or 256gb of photos? So far, I have never had a memory card fail on me. Over the course of a decade of travel and hundreds of thousands of photos, I haven’t had a CF or SD card get corrupted. This isn’t to say it can’t happen, or that it won’t happen to me in the future. I know photographers who have had bad memory cards. I just think that when weighing risks, this is a much lower risk than the alternatives. While I haven’t had a card get corrupted on me, I have had memory cards slip out of my fingers. I have left them on tables because they were so small I couldn’t see them. I have had them come loose in my camera bag. In one every memorable incident, I dropped a memory card which came a few inches from dropping into a sewer grate. The truth is, while corrupted memory cards are a risk, manufacturing has improved over the years and the rate of card failure is nowhere near where it was 10 years ago. Also, if a card should fail, there are applications and services which are available which can recover the data from most cards. My personal experience is that the safest place for a memory card is inside your camera. While it is easy to misplace an SD card, you are unlikely to misplace your camera. A 256gb card will usually store most of the images you’ll shoot on most trips. Even with my camera, which creates 84mb RAW files, I don’t have to swap out my memory card on most trips. In the event that I do need more space, I have an additional 256gb card available. The cost of large capacity memory cards has come down considerably. You can now get 256gb SD cards for under $100 on Amazon. Even if you don’t go the route of getting large capacity memory cards, you want to have enough capacity in the cards you do carry to cover all the photos you’ll take on your trip. Your goal should be to never have to delete a photo from a memory card until you get home. That way, your memory cards become your primary backup source, no matter what happens to your other backups. If your camera has dual memory card slots, I’d recommend writing images to both cards, so one serves as a backup of the other. If you the second card as an overflow for when the first card is full, you don’t get the redundancy. The next step my photo backup workflow takes place in my hotel room. Once I’m done for the day, I’ll make copies of photos from my memory card and put them in three different locations. 1) Copy images from my memory card to my laptop. This is very straightforward. My MacBook Pro has an SE slot and I just pop in the card and drag all the recent images to a folder on my desktop. I don’t use Lightroom to import photos directly from the memory card. I first just copy them as files, and then I will import them into Lightroom. Once the images are copied onto my laptop, the memory cards are then placed right back into my camera. 2) Images on my laptop are then copied on to two USB hard drives. I carry two different USB 3.0 hard drives with me. One is kept in my camera bag, and the other is kept in my checked bag. The contents of each drive are identical. The redundancy is to deal with several possible eventualities. My laptop is stolen or damaged, my camera bag is stolen, one of the hard drives dies, or my checked bag is lost. The weak point here would be if my camera AND my computer AND my checked bag AND my camera bag were all stolen or lost at the same time, I’d lose everything. I’m not sure this risk can really be avoided. It is a small risk, but it isn’t zero risk. I’ve never heard of this happening, but I do recognize it is a possibility. The USB hard drives I travel with are nothing special. I use standard 1TB Western Digital hard drives.I haven’t found it necessary to buy rugged hard drives. I have a case I keep the drives in, but other than that I don’t do anything special. An external solid state drive (SSD) would probably be a good idea if I upgrade in the future, but as for now, I’ll stick with what I have. SSD tend to be more expensive and have less storage. The question of cloud backups while traveling is something I will address below, but suffice for now to say, it isn’t really an option. Once I’m home, usually, the first thing I do when I get through the door of my apartment, is to sit down and back up my photos. I’ll do this before I take my dirty clothes out of my bag or anything else. 1) Copy images from my memory cards to my desktop computer. I copy images from my SD card just because it is easier. I could copy them from one of my hard drives, but it really doesn’t matter. The images on my desktop computer are my working images. These are the ones I’ll be editing in Lightroom. I find performance to be better if I am working off local images, rather than images off of a network. I am a bit odd in that I don’t use the catalog feature on Lightroom. Because I spent 9 years on the road, I never had enough storage capacity to keep all my images available in a catalog, so I never used it. The habit has carried over to today. When I’m done editing the images on my desktop, I delete them. That way the images on my desktop serve as a type of to-do list. Any image which is in a folder on my desktop is an image I still have to process. 2) Copy image from my desktop computer to my Drobo. After 9 years of a nomadic existence, when I finally got a place of my own, one of the first things I purchased was a Drobo. 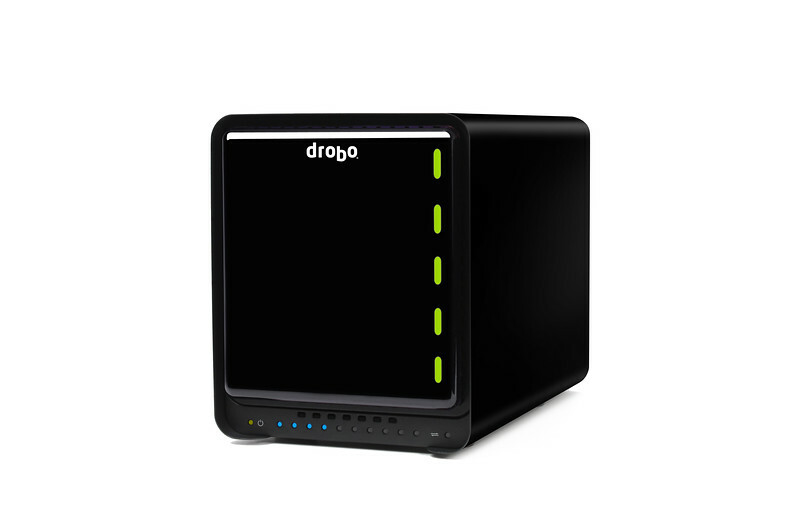 A Drobo is a consumer RAID (redundant array of inexpensive disks) system where you use multiple hard drives to store your data. My Drobo has 4, 4-terabyte hard drives. In the event that one of the drives should fail, I can swap the drive out with a new one and my data will still be protected. I know of some photographers who take their home backups even further. They may have multiple Drobos, or they might keep an additional Drobo at someone else’s house, in case their house is destroyed. This is very prudent, and it is something I might consider doing in the future, but as of right now the additional cost and hassle doesn’t seem worth the trouble. If I did more video or had greater storage demands I might consider it, but it really isn’t an issue at the moment. I also have several legacy external hard drives I used from early in my travels. I used them for archiving my photos early in my travels and for the most part they just sit on a shelf. All of their contents have already been copied to the Drobo, so there is little I need to do with them. Cloud backups are the thing I’m asked about most frequently, and the thing I’ve most recently added to my back up workflow. The truth is, I never bothered with cloud backups until a few months ago. Every single cloud-based backup system I researched would dramatically throttle their upload speeds. They would throttle them so much that even uploading a terabyte of data, which isn’t a lot nowadays, could take over a year. The upload speeds were throttled to the point of dial-up speeds. This is also why cloud backups are not something I do out of hotels. Here isn’t so much an issue of the backup services as the hotels. It just isn’t possible for the vast majority of hotels to upload tens of gigabytes of data in an evening. One way I was planning to get around this was to create my own ‘cloud’ backup service. I have a gigabit fiber connection at my apartment. I can connect to my ISP at almost ethernet speeds. My idea was to just get a rack-mounted Drobo and put it at my ISP and use that as my cloud storage. It wouldn’t have been cheap, but it would have worked and the upload speeds would have been tremendous. Thankfully, I was able to shelve that idea when I found out that one company, Backblaze, removed the upload speed limits from their backup service. When I installed Backblaze, I was able to reach peak upload speeds of 170mb/sec, which is several orders of magnitude faster than any other service I had tried. Instead of months or years, I was able to back up my entire archive of photos on my Drobo in a little over a week! I should probably mention Smugmug, which is technically not a backup service per se but does some element of redundancy. 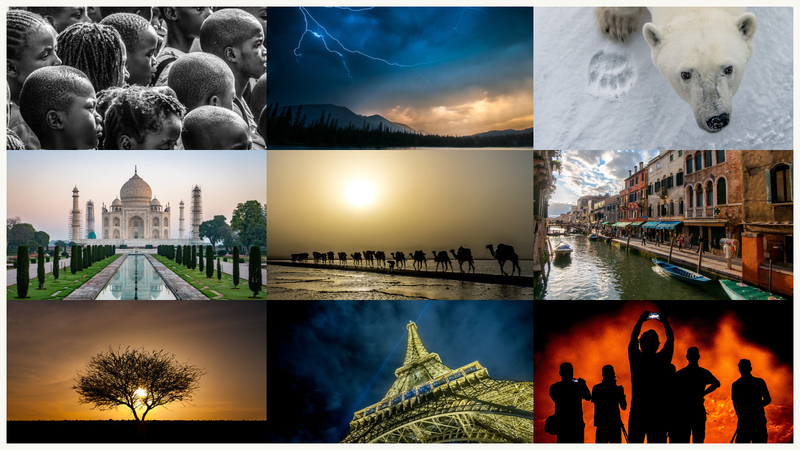 Smugmug is a photo hosting service. They don’t store RAW files or anything beyond jpg/gif/png images. Smugmug is where I put my finished processed photos. These are the actual working images that I can make prints from or that I put on my website. While I certainly don’t want to lose my RAW files, these are the images that I really care about. To that extent, your photo hosting site does serve as a type of backup. If you don’t shoot in RAW, then a photo hosting site like Smugmug can actually serve to back up your photos. The images which are on my Drob, subsequently on Backblaze, are images I never touch. Once they’re there, they’re there. However, I can’t keep images on my memory cards and external hard drives forever. Eventually, they will fill up and I’ll need to free up some space. I try to keep everything on my cards and drives as long as I can until I absolutely have to delete things. Once a memory card becomes full, you have to make sure to clear it before you go out shooting. You don’t want to be in a position where you need to format a memory card, but you have images from that day on it which haven’t been backed up. A good backup philosophy that I’ve heard is that you shouldn’t consider a photo to exist until it is in at least two places. As much as you can, always try to keep multiple copies of your photos in as many places as possible. The more copies you have in as many places as possible, the lower your odds of ever losing anything. I love photography and this is always a issue for me… I usualy travel with my computed and a hard disc… so… I keep them in my memory card until there is no more space or choice; back them up in my computer who I leave in my handbag; and also back the in my Hard Disc witch I keep in my main bag or backpack. ¿A little too much? It’s not always enought when it comes to my photos and memories!! This has been a really helpful read, thanks Gary! We’re always debating the the best way to manage our image files between SD cards, laptops and USB hard drives, and the pros and cons of the cloud. We really need a system and your article couldn’t come at a better time! Love your backup philosophy too. Time for us to get a Drobo and get organised! Great tips. I usually copy the photographs to my external hard drive only. And what you said about the cloud storage is true the uploading speed is so pathetic that I end up cancelling saving them in the cloud. I agree that the best place to keep your memory card is in your camera – otherwise, they are far too small and easy to lose or leave lying around. When it comes to backing up, I copy all my photos from my camera onto my laptop. If the internet connection is strong enough it will then also back it up to my cloud storage. Only when I know that the images are fully backed up in the cloud (and on my laptop) do I delete them off the memory card. Hi Gary…couple of questions for ya. Do you import into LR on your MBP or just wait until you get home? If on the MBP…how to you handle moving originals over somewhere else as the SSD gets full…LR will relocate them for you of course but that’s not very quick. I’m looking to streamline my photo processing a bit…the MBP is my only computer as we live in the RV but I do have a NAS in the RV that I currently keep the originals on. I’m toying with moving at least this year and last year’s originals onto the laptop SSD but need to make sure I fully understand the end of the year rotation process. It almost sounds like you don’t put the images into LR until you get back to the desktop computer which is likely wired instead of wireless so network access is probably faster…unless you just keep the originals on the desktop and a backup copy of it and the LR catalog on the Drobo. I will usually import photos into Lightroom on my laptop, but only to process images I’d like to get online quickly. I do most of my editing on my desktop, however, so I don’t have two versions floating around. The main reason for moving images to my laptop is so I have another copy when I’m on the road, and so I can get the images to my external USB drives. One the files have been transferred to Drobo and my desktop computer, I can delete the images on my laptop.